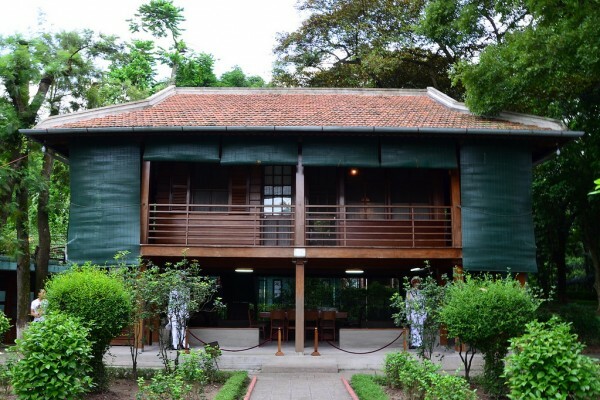 The Stilt House is a small, elevated home where Ho Chi Minh lived and worked until his death. The Stilt House is a major tourist attraction for the Vietnamese since it was where the father of modern Vietnam made the majority of his decisions. Stilt House ResidencelLocated within the grounds of the Presidential Palace, to the north of his mausoleum is a simple wooden house on stilts which Uncle Ho lived and worked at instead of the Presidential Palace itself. The complex which includes Ho Chi Minh’s famous House on Stilts, houses other buildings where Ho Chi Minh lived and worked in most of his revolutionary life (from December 19, 1954 to September 2, 1969). A simple stilt house is located in the real center of Hanoi capital is the place where uncle Ho lived and worked longest in his life. This stilt house is not only a historical stamp but also it is an architectural and cultural heritage of Vietnam. Ho Chi Minh stilt house is a very important special relic in Ho Chi Minh Complex. Since uncle Ho died so far, Ho Chi Minh Complex has welcomed over 21 million of the domestic and foreign tourists to visit, among there are a lot of the high groups, heads of state of 150 countries and hundred of the international organizations. While visiting Ho Chi Minh stilt house, the foreign tourists still ask that why uncle Ho prefers to live in a simple stilt house like this. In fact, in the resistance against French colonialism in Viet Bac is uncle Ho lived and worked in a stilt house which was made by bamboo, with a very long time is nine years in Viet Bac uncle Ho lived with the compatriots of various ethnic origins. So that, when peacefully uncle Ho return Hanoi, he still missed the compatriots with very deeply special emotion. In 1954, from Viet Bac return Hanoi, refusing to stay in a big house uncle Ho chose for him a small house of the electrician workers, he worked in this small house from 19/12/1954 to 5/1958, then uncle Ho requested to do for him a stilt house which is located nearby a pond to live and work. Then, a stilt house was designed and did very simple base on uncle Ho’s request, there are just small two rooms in this stilt house, and each room is just for one person to stay. Ho Chi Minh Stilt House is a very special and worthwhile destination so that you should not miss this place on your trip to Hanoi or on your Hanoi city tour. This stilt house is one of the simple character of uncle Ho who satisfied all his life for the Vietnamese nation, he and his this house is proud of all Vietnamese.